He Jiankui was supposed to be the pride and joy of China, a top scientific talent recruited back from the United States to usher his homeland into the new frontier of gene technology and innovation. Then in November, He shocked the world when he revealed he'd taken the unprecedented step of creating the world's first genetically engineered twin baby girls, who had their DNA altered to be less susceptible to HIV infection. After the shock came widespread condemnation, including from many of He's scientific peers. Now the fallen scientist, who's since disappeared from public view, possibly under some form of house arrest, is facing imminent punishment from the government that had once held him up as a champion. At the time, He claimed to have carried out the experiment for humane reasons, to show that HIV-infected couples could have children who didn't inherit the infection. Earlier this week, the Chinese government shot down that claim quite bluntly, saying He Jiankui broke Chinese laws and "defied government bans and conducted the research in the pursuit of personal fame and gain." Chinese scientist He Jiankui speaks at the Second International Summit on Human Genome Editing in Hong Kong, Nov. 28, 2018. China's Xinhua News Agency announced that the provincial government of Guangdong, where He lived and worked, had concluded its preliminary investigation into He’s activities, confirming He did, in fact, edit embryos with gene-splicing CRISPR technology that resulted the birth of the twins -- and another pregnancy that's underway. 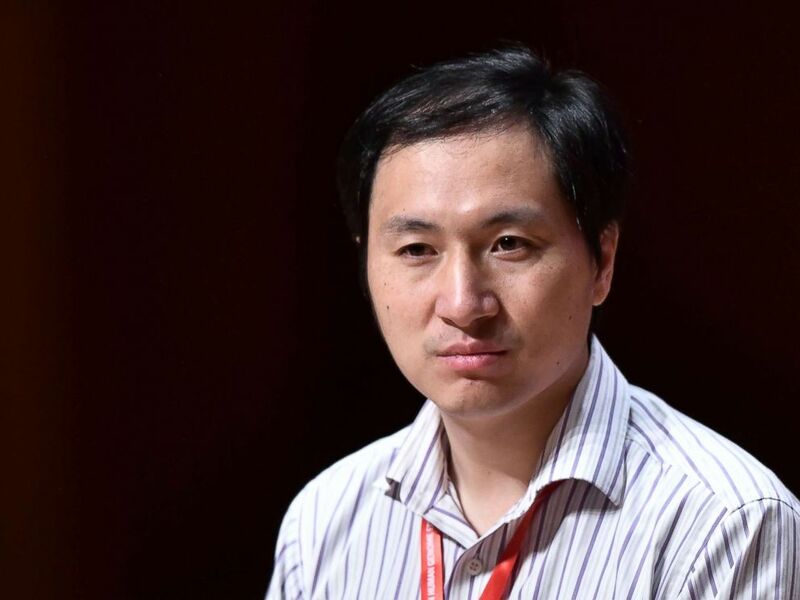 Authorities said He "had intentionally dodged supervision, raised funds and organized researchers on his own to carry out the human-embryo gene-editing intended for reproduction, which is explicitly banned." It remains unclear how severe a punishment He and his immediate collaborators will be facing. Up until now, China has had laxer regulations on clinical research than the United States and Europe. However, according to the Xinhua statement, authorities clearly are displeased and ashamed. "This behavior seriously violated ethics, scientific research integrity and relevant state regulations, causing adverse effects at home and abroad," the Chinese version of the Xinhua statement said. The English version does not contain the mention of adverse effects "abroad." The statement mentions the involvement of China's public security bureau, which means there will likely be criminal charges as authorities believe they have a solid case against He. In fact, the statement accuses He of faking documentation and blood test to allow HIV-carrying volunteers to dodge regulators. In China, HIV carriers are not allowed to participate in IVF. Will China 'kill the chicken to scare the monkeys'? There is oft-used Chinese idiom that describes how every the Chinese government, from the dynasties to the Communist Party, doles out punishment to ward off subsequent offenders: Kill the chicken to scare the monkey. It remains to be seen how Chinese authorities will make an example of He Jiankui. 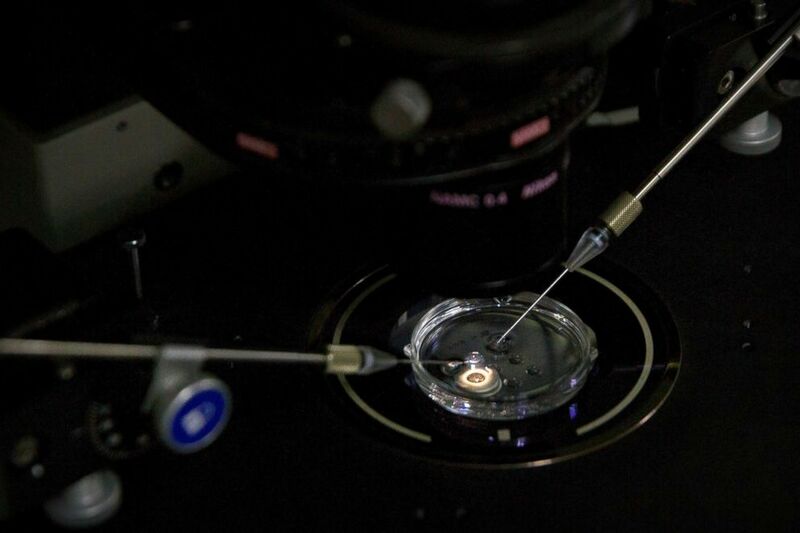 In this Oct. 9, 2018 photo, an embryo receives a small dose of Cas9 protein and PCSK9 sgRNA in a sperm injection microscope in a laboratory in Shenzhen in southern China's Guangdong province. On the same day the Xinhua statement came out, the Southern University of Science and Technology in the tech metropolis of Shenzhen, the very institution that lured He Jiankui back to China from Stanford University, issued a terse statement firing He, dissolving his contract and ending all of his activities on campus. Various Hong Kong outlets and The New York Times have reported in the weeks since He's announcement that he was believed to have been under house arrest on SUSTech's campus. The university's publicity department told ABC News it wouldn't be commenting any further on He. The Xinhua statement concluded by saying that the local authorities would keep an eye on and provide medical care to the twins and the pregnant volunteer.